One might ask, If the New Moon formula is so simple, as stated by the religious leaders, what about the following questions that can be derived from such a simple formula? • Where can it be found in Scriptures where it explicitly states that one must actually see the new moon crescent? • If so, where should one observe it from? Jerusalem or locally? • Can one use eyeglasses, binoculars, or a telescope? • Is it permissible to view the crescent from a mountain top? If so, what would be the maximum elevation allowed? • What if the sky is too cloudy to even see the new moon crescent? • If the new moon crescent is not seen from Jerusalem or the eastern coast of the United States but is seen in California then what does one do while living in the USA? • Where in Scriptures does it state that green ears of barley along with a visible crescent is required for the determination of Abib 1? • If so, where should the barley be observed? Jerusalem or locally? • What happens if the barley is delayed for a month because of weather conditions like adverse temperatures or drought? • Can one actually know the absolute truth regarding Yahweh’s calendar? • When in doubt, should we rely on the Jewish religious leaders for authority? After contemplation of the so-called simple formula, could it be that Yahweh has actually made the calendar not so simple after all for mankind to accurately keep Yahweh’s statutes regarding his Festival Days? Would Yahweh entrust flawed mankind, with his mental and/or physical handicaps, to determine the visibility of thin lunar crescents for the validity of Yahweh’s sacred calendar? In addition, would Yahweh entrust imperfect mankind, made up of both farmers and city folk, to determine the required degree of ripened barley along with the visible new moon crescent for determining the New Year of the sacred calendar of Yahweh? When all human delusion is put aside, it only stands to reason that if Yahweh commands us to do something he fully expects for us to completely comprehend his instructions and to correctly and accurately carry them out. This also means precisely at the right time and without the slightest doubt. Keep in mind, father Yahweh is not the author of confusion. It should be recognized that, according to Scriptures, Abraham was able to correctly keep Yahweh’s statutes which would entail the observance of the Festival Days. Needless to say, in order to correctly keep the Festival Days, Abraham also would have had to have known how to correctly determine new moons and especially the new moon of the New Year, Abib 1. One may argue that since Abraham was just a nomad of sorts he simply was notified by Yahweh personally when the beginning of the year was to occur along with the subsequent Festival Days. Another possiblily to consider is that Yahweh actually taught Abraham how to utilize his clock that was set in the sky by instructing him how to calculate the day of the New Year along with the Festival Days. Has it ever crossed anyone’s mind that there is indeed ancient evidence that Abraham knew astronomy and mathematics? 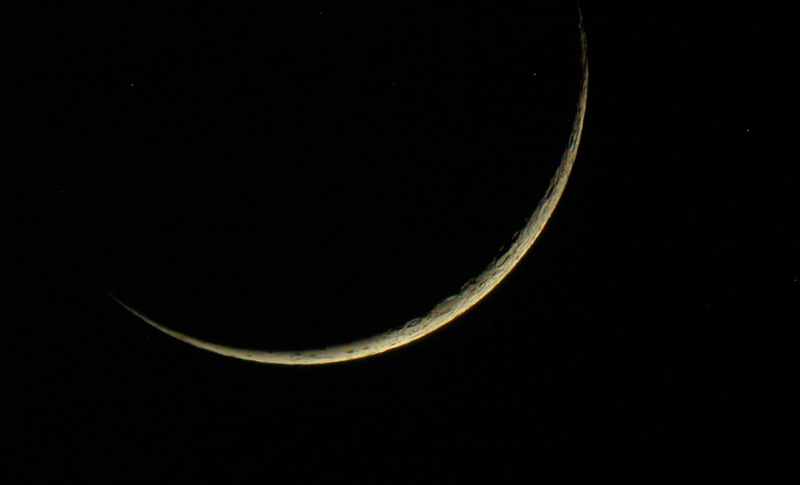 If you have any curiosity about Abraham’s knowledge of such matters then you might want to take a look at New Moon Clarity, one of several posts which go a long way toward ending any confusion regarding the issue of visibility or calculation of the new moons of Yahweh’s calendar. This entry was posted on 01/18/2015, 1:47 pm and is filed under Calendar, Easter, Feast Days, High Sabbaths, Holy Days, New Moon, New Year, Passover, Religion, Scriptural Calendar, Unleavened Bread. You can follow any responses to this entry through RSS 2.0. You can leave a response, or trackback from your own site.